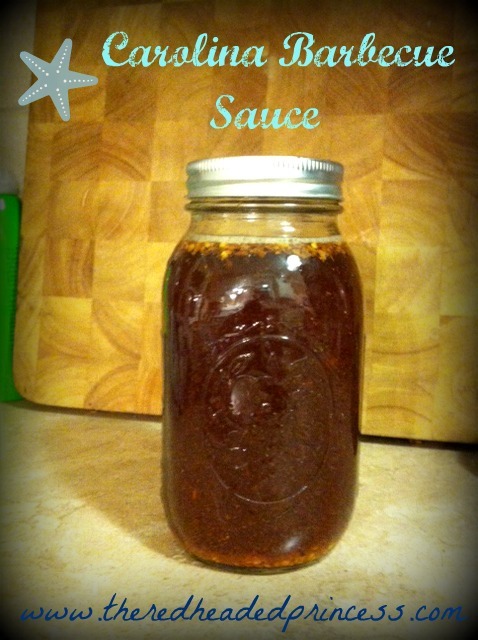 This sauce is amazing on Carolina pulled pork! It's got a little kick but it's not overpowering...and definitely has that tang that Carolina BBQ is famous for. Hope y'all enjoy! All you have to do is mix it all together and store it. Be sure and make it at least 24 hours ahead of time to let the flavors blend. I poured it in these mustard and ketchup containers from Walmart for under two dollars to make it easier for people to squirt the sauce on the barbecue. How long does it last for? I'd love to whip some up for my boyfriend and I!